Bring the little ones to enjoy a lunch with Santa! 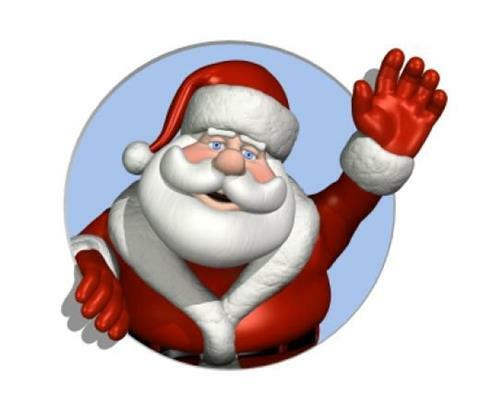 The event will consist of a delicious lunch, mingling with Santa Claus, and telling Santa what you want for Christmas. Parents - bring your cameras to capture the memories! All ages are welcome. Preregistration is REQUIRED by Friday, November 30th. No walk-ins will be accepted. This program is being held in conjunction with Wildwood Park District. Grandwood Park Park Districts residents will pay resident pricing for this program. Register on the Park District website at www.grandwoodpark.net/programs or in person at the Park District office. Don't Forget - Santa will be riding through the neighborhood before the party. Keep an eye out for him and wave as he goes by!! Learn how to use RoboThink’s innovative robotics pieces, motors, switches, axles and gears to build robot models. 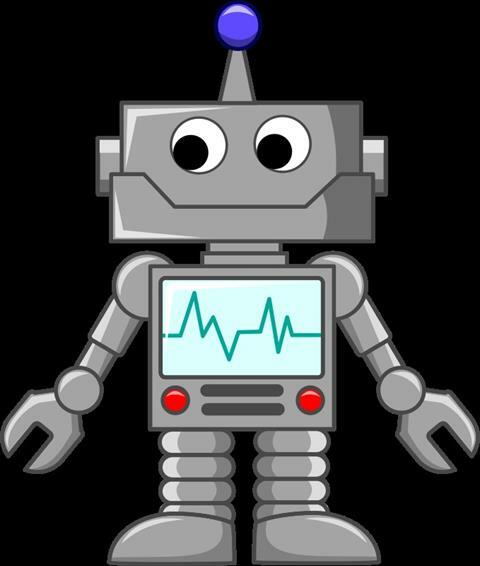 The lesson plan is built around RoboThink proprietary kits, plans and STEM curriculum, designed by teachers and engineers. 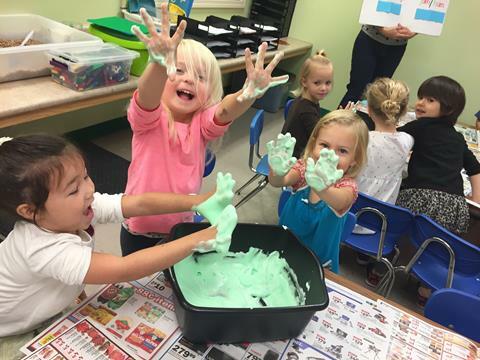 The activities are interactive, hands-on and engaging to promote learning in a fun way! Build a robot and play an exciting game of robot soccer in this soccer bot workshop! No prior experience required. Workshop is for children 6 and up. This program is being held in conjunction with Wildwood Park District. 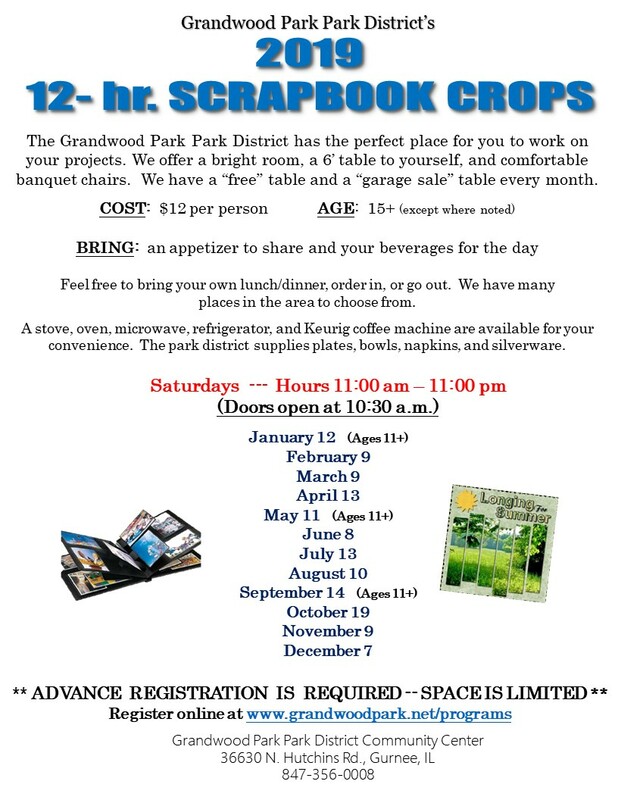 Grandwood Park Park District residents will pay resident pricing for this program. Let your creativity go wild - Not only can you win a cash prize, you get bragging rights! 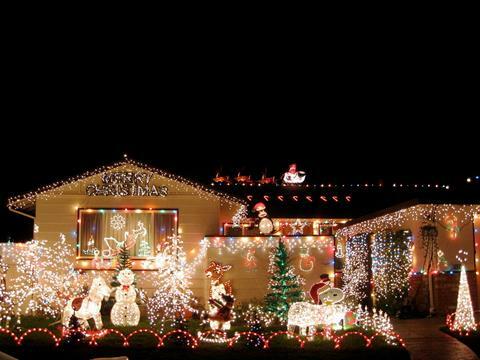 Get those lights and decorations out and start planning. Fall is in the air. The leaves are changing, it's finally safe to go outside mosquito free, and learning at the Little Learners Preschool is in full swing. 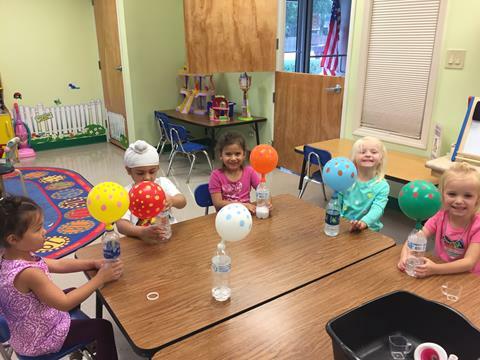 The students are busy learning letter sounds, recognizing patterns, exploring through science experiments, hearing rhythm beats, writing letters and numbers, completing art projects, and much more. To go along with our Apple Theme, we had our first successful field trip to Heinz Orchard with Wildwood Preschool in September. The kids and parents had a wonderful time, and we were thankful that the rain held out. We also want to thank the community for supporting the preschool fundraiser at Octoberfest. Selling bundt cakes was a huge success, and we greatly appreciate Nothing Bundt Cakes for their partnership with us. · Community Helpers: Firefighters will come and teach about fire safety to the students. different colored pumpkins, and observe Mr. Bushy Tail the squirrel. · Fun on the Farm: A goat family will come and play with the kids. · Transportation and Turkeys: Save the turkeys, eat pizza for Thanksgiving. 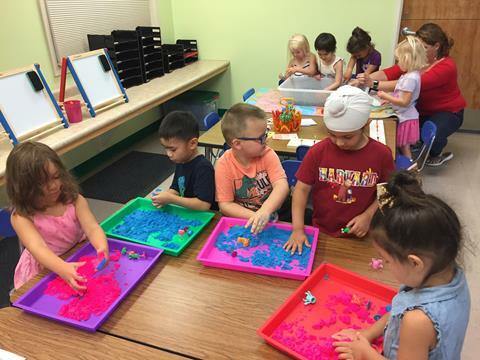 Check out the Grandwood Park Park District website at www.grandwoodpark.net/preschool to see our learning in action. 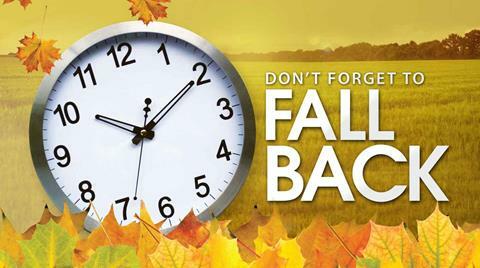 Set your clocks BACK one hour when you go to bed on Saturday, November 3rd! Make sure you put these important dates of Civic Association/Park District events on your calendar so you don't miss them!!! determined yet. We'll keep you posted. What is the Grandwood Park Civic Association, also known as the GPCA? The Grandwood Park Civic Association's purpose is to enhance and support the entire community. The Civic Association works in conjunction with the Grandwood Park Park District to provide community activities such as Oktoberfest, Spaghetti Dinners, Save the Lake Days, Children's parties, Community Care, and Political Forums just to name a few. These activities and events not only support the community, but bring its residents together. The GPCA was established in 1962, and is a 501(c)(3) not-for-profit organization. The GPCA Board consists of five (5) unpaid volunteers, each serving a 2-year term. Two terms are coming to an end in December. 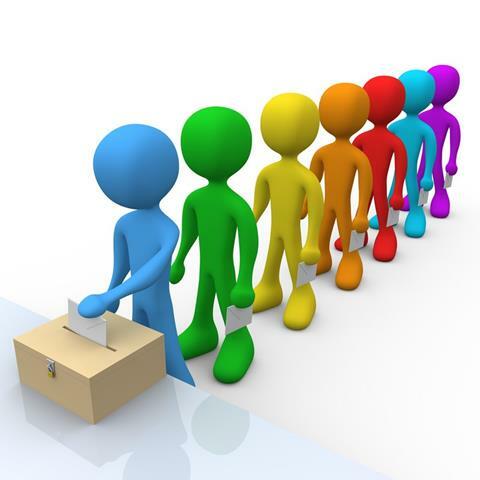 Volunteers interesting in the getting involved in the community can throw your hats in the ring and be included on the ballot for the election to the positions of President and Secretary. Final nominations will be accepted during the November GPCA meetings. The election will also be held during the November meeting. The individuals elected to the Board will be sworn in and will take their seats at the December 5th meeting to begin a 2-year term. The GPCA meetings are held the first Wednesday of each month at 7:00pm in the conference room of the Park District Community Center located at 36630 N. Hutchins Rd. This is a chance to get involved in the community, make new friends, and have fun! 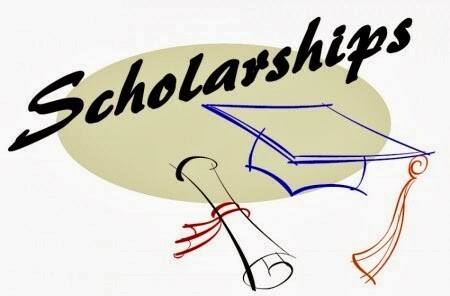 Be on the lookout for more information regarding the Civic Association Scholarships! Next year, the GPCA will be able to offer 2 (yes, that's right, 2) $500 Scholarships to those looking to further their education. One of the requirements is volunteering in the community - perfect opportunities are the upcoming events mentioned earlier in this newsletter! Items needed include: personal hygiene items, nonperishable food items such as canned fruit & vegetables, canned meat, soups, pasta & sauce, paper goods, cereals, oatmeal and even pet food. 36630 N. Hutchins Rd. 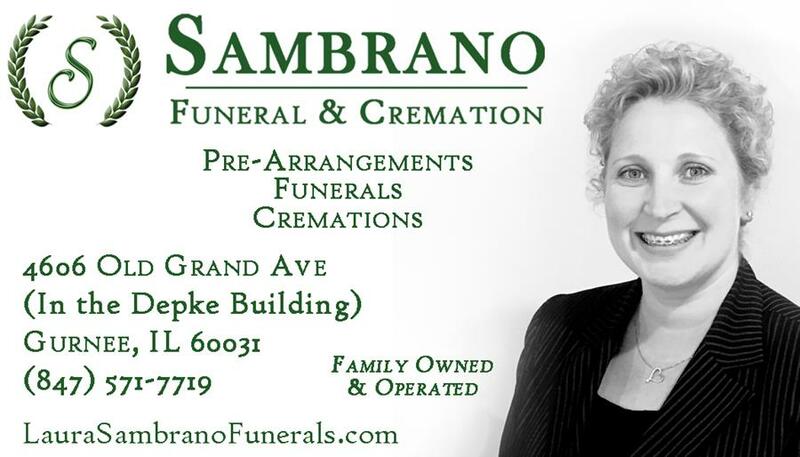 in Gurnee from noon–5:00 p.m. Monday-Friday. Please bring them to the second door on the south side of the building and ring the doorbell to drop them off. All items will go to the WARREN TOWNSHIP FOOD PANTRY. Thank you for your donations and have a Happy Holiday Season! If you are in need of assistance .... 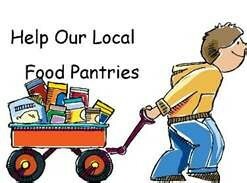 The Warren Township Food Pantry is located at the Warren Township Center at 17801 W. Washington Street, Gurnee IL. You must bring an ID or driver’s license, current utility bill, and proof of income. Failure to bring documentation will prevent service. Our annual leaf collection program begins the week of Monday, October 22, 2018, and runs through the week beginning Monday, November 26, 2018. The target collection is as shown on Leaf Collection Schedule Map. Your leaves will be picked up by Waste Management, which will make six trips along each street. Once the vacuum truck makes its final run in your neighborhood, it will not return to collect additional leaves. 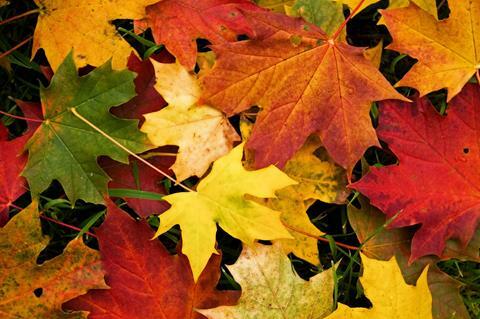 Waste Management makes every effort to collect leaves along each roadway every week. However, factors such as poor weather or large volumes may slow down the collection process. Be raked to the curb, beginning at the edge of the pavement and be no more than five feet in width. Not include other debris such as cans, paper, rocks, logs, brush or construction material as they could damage equipment and cause injury to the crew. To identify which fire district you live within please refer to the Fire District Map. If you live in the Warren-Waukegan Fire Protection District please refer to the guidelines. If you live in the Grayslake Fire Protection District please refer to the guidelines. 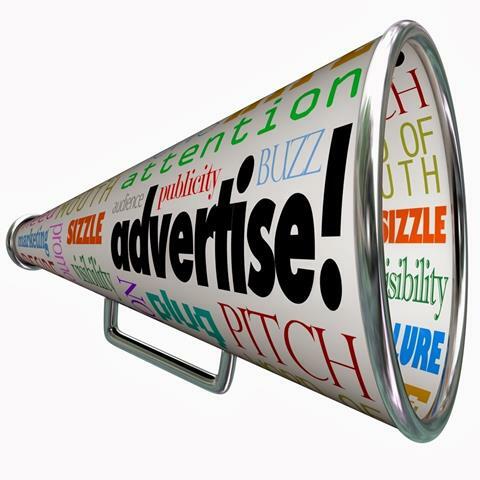 All links will take you the Warren Township Highway Departments website. Click on the links on their page to receive the information you need. Considering the aftermath of the rain on Friday, there was a pretty good turnout on Saturday, October 6th for our annual Oktoberfest event. The heartiest souls came prepared with rain boots, which made navigating the muddy grass an easier proposition. Unfortunately, we were unable to provide the hayride, but the Gurnee Fire Department was able to provide some very cool up close and personal inspections of their fire truck. Thanks, guys! We would like to give a BIG Thank You to our sponsors: Abt Electronics, C & S Landscaping, Summer Gerber-Century 21, Mission BBQ, Bittersweet Golf Club, Timothy O'Toole's Pub, Mod Pizza, Nielsen Enterprises, T.G.I.Friday's, Mama K's Pizza Grille, Sambrano Funeral & Cremation, Six Flags Great America, The Backyard Steak Pit, SportClips Haircuts, The Polish Peddler, Faith Mangler-Pampered Chef, Hair By Stephanie, Service Sanitation, Tighthead Brewing Company, Lewis Fresh Market, and GROOT. A special thank you to Troy and Kathy Blair from Nothing Bundt Cakes for their generous donation for the Preschool Fundraiser. You helped us to put on a great Oktoberfest! Thank you to the Grandwood Park Park District for their generosity in letting us use the pole barn and athletic field for the event, and for sponsoring the awesome fireworks display! The authentic German band, Die Musikmeisters Band, provided some terrific music, including some cow-hand-bell ringing songs; very much enjoyed by those in attendance! The stein-holding contest held in front of the band was entertaining for the spectators and the participants. Civic Association VP Meghan Dawson came in 1st for the ladies and Troy Blair come in 1st for the men. Great job, kids! We had the vendors moved closer to the pole barn this year. Hopefully they were able to show their wares to those in attendance. That decision gave more room for the children to have access to the largest portion of the field to run, play and chase a soccer ball. Cafe Gano served up some phenomenal food including chicken schnitzel, brats, hot dogs, 15 pounds of french fries, awesome pretzels with cheese, and gourmet sauerkraut and handmade potato pancakes donated by the Polish Peddler. We went through 129 potato pancakes in an hour and a half; next year we'll have 300 - such a hit! The kitchen crew worked their tails off serving up all that delicious food. Great job! A plethora of raffles were available to everyone who attended. The Military Recognition was a very nice part of our Oktoberfest. The raffle was won by some very deserving veterans. Thank you for your service. Those folks who liked our Facebook page were entered into a separate raffle and there were 2 winners! Thanks for liking us! The fireworks this year were put on by Melrose Pyrotechnics. They did an awesome job, so thank you for the oohs, ahhs, booms and sparkles! Thank you to those renewing their Civic Association memberships, making them eligible to enter the FREE Members Only raffle. We hope you enjoy your prizes! After the fireworks we all enjoyed the bonfire, one of the few times we can stand around a huge fire and visit with our neighbors and friends. Thank you to all the volunteers who worked so hard to help us make our Oktoberfest a success. 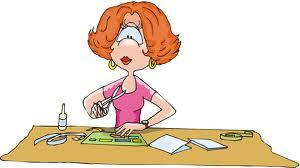 Mark your calendars for next year - the date will be September 28th, the last Saturday of the month. (buy 5 - get one free). 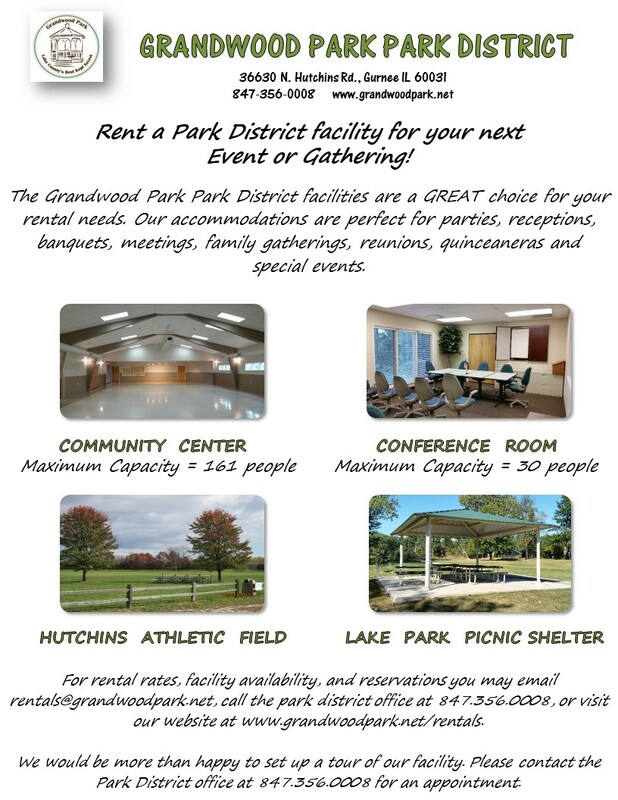 Contact us: newsletter@grandwoodpark.net or by telephone at (847) 356-0008 for more information.